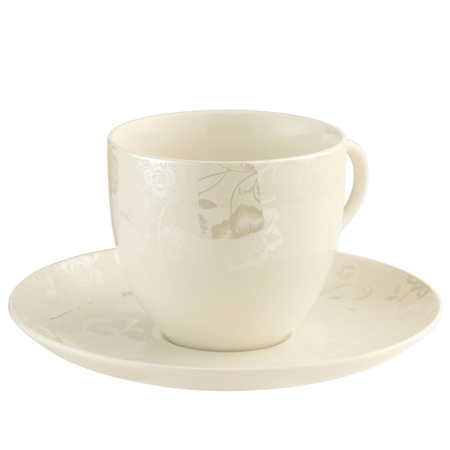 This Evermore Teacup and Saucer Set is Belleek Livings elegant and stylish take on how teawareware should be. 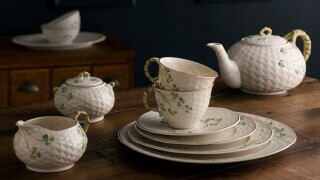 The Evermore Collection displays a rich, matte ivory with glossed floral designs throughout. 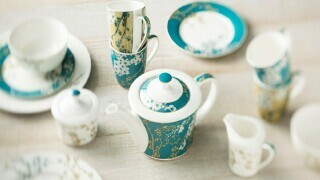 The simplicity but exceptional form of the Evermore pieces must be seen to be desired. 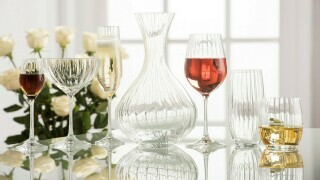 They give the impression that would suit a stunning wedding gift or bridal collection. This website advertises “handmade in Ireland” but when product arrived the product doesnt say where its made. I spoke with customer service who said its “made in one of our overseas factories.” The set is beautiful but i wanted something authentic. Disappointed.